Will it Be Your Next Dog? Few breeds so abundantly deserve their immense popularity as does the Labrador Retriever, a kind, calm, family dog, known especially for its friendly, warm personality. Labradors are great dogs for many different types of people. 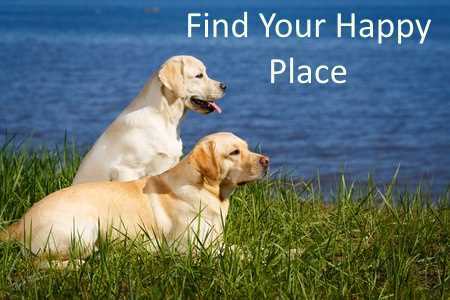 Being that they are retrievers, Labradors are used to working with people and handle them very well. Labrador Retrievers have also rated the #1 most popular dog in America and have been for many years. The Labrador is definitely a family dog, and is great with people of all ages. Their natural retriever instincts make them want to be part of the family. Labs will often follow their owners around, bent on human company. Their gentle and social personalities make them ideal dogs for families with children. Their eagerness to please makes them loyal to their owners and makes them very playful. Labrador Retrievers are known to be energetic, active dogs. Having been bred to help hunt, these dogs are willing and able to work for hours on end. 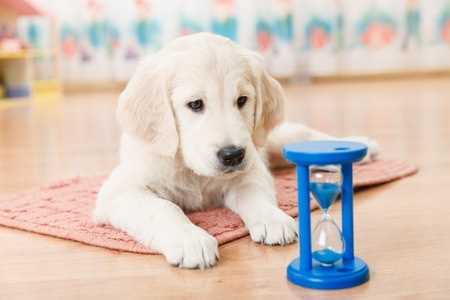 While this is great when it comes to vocational purposes, a Labrador living as just a pet may become restless and rowdy. They require daily exercise to maintain their energetic personalities. The work purposes of a Labrador go far beyond just hunting. Their skills have led to wide adoption of these dogs in a variety of fields. Police, military, and customs have put their skills to use as scent-hounds, using their powerful noses to sniff out contraband or bombs. Labradors are also very popular service dogs, assisting disabled and otherwise intelligently and sweetly. If there is anything to be said about the Labrador Retriever, it’s that they are very cunning and very greedy. Labradors are known to eat just about anything, even if it isn’t edible. 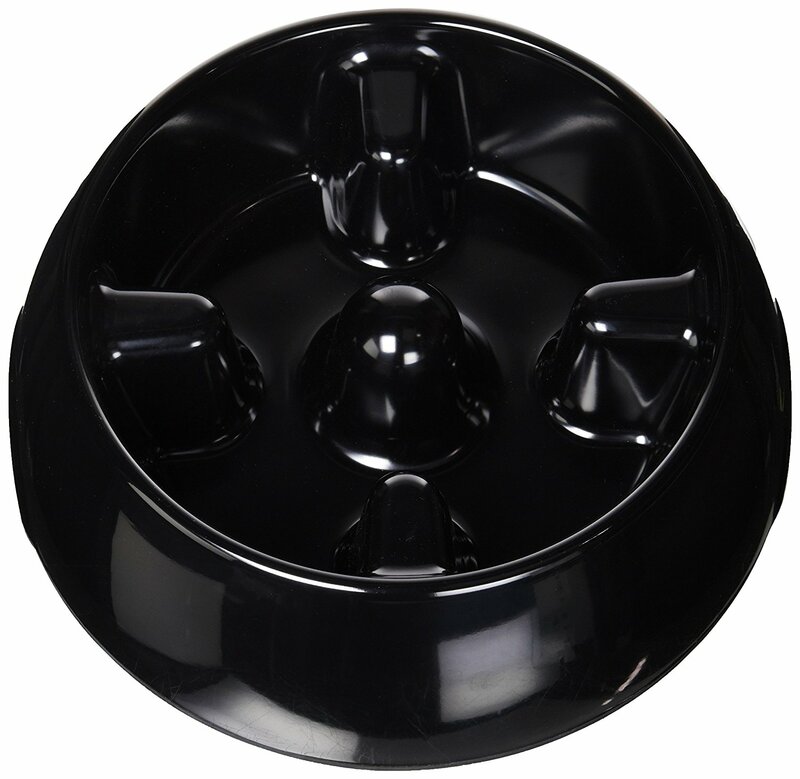 While this makes picking out the right dog food a breeze, it makes it difficult to keep them eating only dog food. I once noticed my Labrador wandering casually between the kitchen and the back of the sofa, ambling past me about every 5 minutes. After about 20 minutes I went to investigate, and discovered that he had managed to open a bag of raw potatoes in the bottom of the pantry, and was slowly eating them, one by one! For Labradors, the old “the dog ate my homework” excuse is actually pretty realistic. Owners have to put in extra effort to keep their Labs from chewing up their things. Labradors can also bolt down their food very quickly! Sometimes this leads to "bloat" - a dangerous stomach condition. For this reason we highly recommend an anti-gulping bowl to prevent visits to the vet! Labrador Retrievers are not known for their skills as escape artists. This being said Labs are not known to try and escape their enclosures or their owners. They may take off if they get a hold of an interesting scent or see something they feel like chasing down. It is recommended to have some sort of enclosure when owning a Lab and to have them implanted with a microchip to track them just in case. The Labrador Retriever is one of the smartest dog breeds there is. Their intelligence has not gone unnoticed, as they have grown in popularity as an excellent show dog. They can learn tricks and other commands with ease. Their physical build also makes them capable of performing all sorts of acts, adding to their ability as show dogs. Their physical build is helpful when working or as a show dog, but can be problematic otherwise. Their size, energy, and excitement can get ahead of them sometimes. Although they are gentle and affectionate with children, these tiny people can be at risk in the presence of an excited Lab. A Lab can definitely knock down small children, so it is best to keep them away. The history of the Labrador Retriever begins up north on the Atlantic island of Newfoundland, off the coast of Canada, in the early 1700s. The nickname they have as “St. John’s Dogs” comes from the capital of Newfoundland, St. John’s. 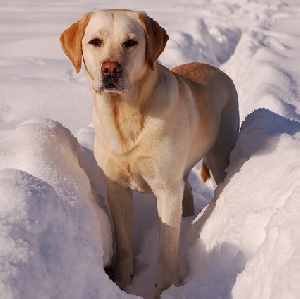 The name Labrador comes from an area in Newfoundland known as Labrador, from which the breed originated. The Labrador gained fame in the 1800s as a great dog for hunting as they were capable of fetching killed waterfowl. Their thicker coats allowed them to adapt to the cold conditions they lived in up north. When they weren’t working, these retrievers spent their time hanging around the families that owned them. People began to admire the St. John dog for its gregarious personality as well as its practical skills. The Labrador made its first appearance in England in the 1830s when the second Earl of Malmesbury had it brought over from Newfoundland. His son, the third Earl of Malmesbury, is credited with naming the breed. By introducing the Labrador to England, the Malmesbury family effectively started the spread of the now popular dog. 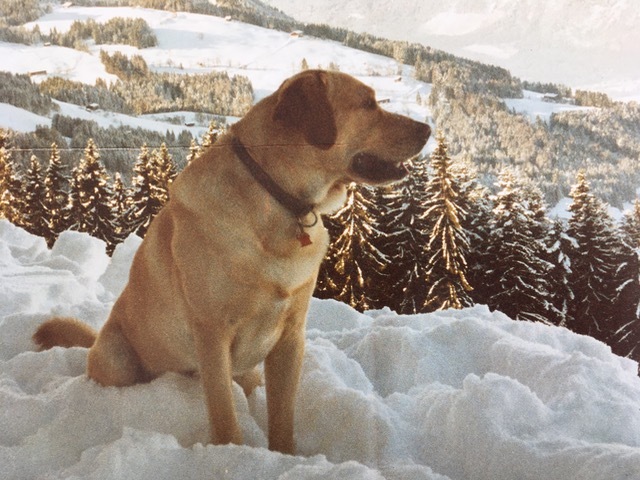 Were it not for the Malmesbury family, it is uncertain whether or not the Labrador would be around today. In Newfoundland, it was very expensive to own these dogs, with an extra tax being applied to ownership of females. Essentially curbing the population growth, the breed most likely would have died out in Newfoundland were it not for their popularity elsewhere. In fact, at one point, the breed disappeared altogether from the country. While the breed was dying out in Newfoundland, it was just beginning to prosper in England. The breed gained popularity in the later 1800s, continuing to spread into Europe. The dog gained fame once more for its retrieving skills and was one of the first dogs used in shooting sports. Labradors were first registered by the Kennel Club in 1903 and the first Labrador club emerged in England in 1916. It didn’t take long for the Labrador’s fame to spread to America. The demand for a hard working hunting dog that could handle the different American terrain grew. In the early 1900s, the breed grew in popularity for their ability as hunting and water dogs, gaining special favor for their coats’ ability to wick off the water once more. More British Labradors were brought into America in the 1920s to help grow their population there, which is the most practical reason for why there is not much variation in the breed. After the second World War, the breed’s popularity began to skyrocket. The variety of vocational skills along with their reputation as great family dogs was great for the post-war society. With the American economy booming, people could afford to buy dogs, and they often chose the Labrador. In 1991, the Labrador achieved its still held status as the most popular dog in America. It also maintains this status in various countries such as the UK, Australia, and Canada. The Labrador Retriever was first recognized by the AKC in 1916. 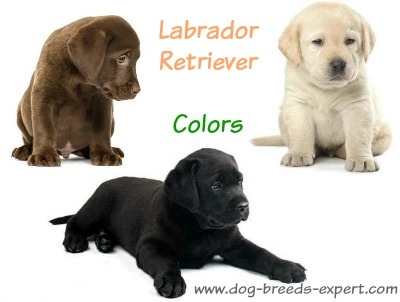 Labrador Retrievers are known to have 3 colors: yellow, black, and chocolate. 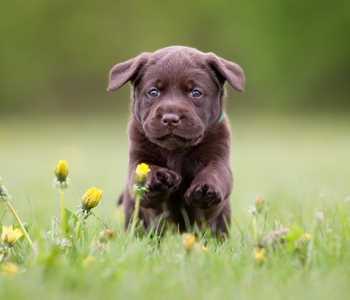 Their color was originally most commonly black, but chocolate and yellow labs became more popular as time goes on. Labradors don’t typically have markings, but they can have a white spot on their chests. Labrador Retrievers are among some of the easiest dogs to train. Their intelligence and eagerness to please their owners makes them willing and able to learn. Despite their ease in training, it is still recommended that they are taken to obedience school. While they are social dogs regardless, it is still important for a Labrador Retriever to have early exposure to all sorts of sights, animals, and people. Early exposure will familiarize a Labrador with its environment, making it more comfortable and social. It also reduces any bad reactions to things since the dog will have experience. An important thing to teach a Labrador early on is what and what not to eat. They can’t truly make the distinction themselves, or rather, don’t care to. Most people take their Labs to classes to condition out their tendency to chew on things. A Labrador is just about the last thing you want guarding your home. Unless you’re shooting for a “killing with kindness approach”, a Labrador is not an ideal dog for protection. They were never bred to be guard dogs for a reason, as their personalities prevent them from being any sort of intimidating. Labradors are too friendly to protect anything from strangers. They’re more likely to approach a stranger in hopes to play with them than making any attempt to drive them off. While they can be taught otherwise, Labradors, for the most part, will greet intruders with a grin and wagging tail, as if meeting a new friend instead of some burglar. Labradors are also not very vocal dogs, barking more often at animals than people. While this is nice for those who are sensitive to volumes, it isn’t helpful when alerting to strangers. You probably wouldn’t know of an intruder’s presence until it was too late. The Labrador’s energetic personality also makes them reluctant to sit around all day as a sentry. Labradors are all around pretty easy to groom, although, their coats require some maintenance. All Labradors have a short, thick coat with two layers, useful for keeping them warm and wicking off the water. It is recommended that a Labrador’s coat be brushed once a day. They are known to shed quite a bit, so regular vacuuming is required along with brushing. The Labrador is not known to be a dirty dog. Any dirt or odorous particles they pick up will most likely be shed away as well, keeping them smelling nice. It is suggested that a Labrador is bathed once every other month or as needed. Labradors need their teeth brushed as well as their coats. By brushing a Labrador’s teeth, the risk of dental issues decreases ostensibly. Regular brushing also keeps their breath smelling nice. It is recommended that a Labrador has its teeth brushed at least 2 to 3 times a week to keep their breath smelling fresh and their teeth healthy. It is important to manage a Labrador’s nails as well. If any dog's nails become too long they can become uncomfortable, and even painful. Labradors require their nails to be clipped at least once a month, or when they become too long. If you can hear a Lab’s nails clicking against the ground when they move, it’s time to clip their nails. Let’s not forget about the ears. Labradors require their ears to be regularly cleaned to keep them healthy. Their drop ears prevent airflow and can trap bacteria inside. It is recommended that a Lab’s ears be checked and cleaned once a week to prevent infection and wax buildup. All dogs are bound to experience some sort of health complications during their life. Some breeds are more prone to certain health issues than others, however, and it is important to be familiar with these health problems when purchasing a dog. It isn’t inevitable that a Labrador will experience any of these health complications, but it is still important to take them into consideration. It is also important to be able to supply a Labrador with good health care to keep them healthy and prevent disease. Purchasing a Labrador from a good breeder is also important, as it reduces the chance of genetic diseases. This is difficult, however, given the popularity of the breed. A good breeder will be able to pass health checks for the dog.